Double Halo Multi-Size Round Diamond Engagement Ring | Shane Co. 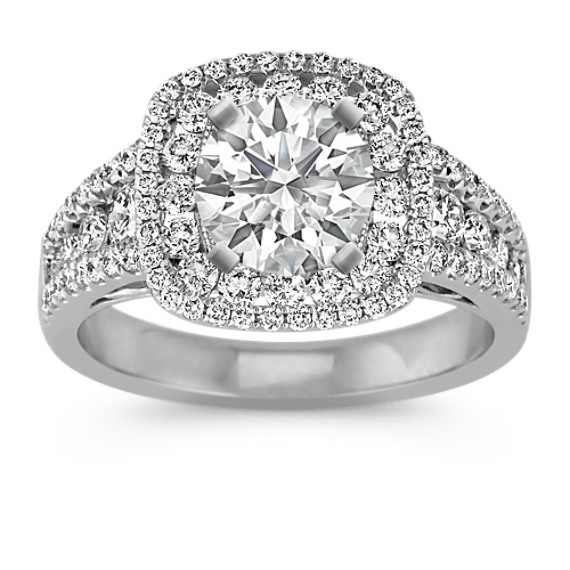 Advancing sizes of round diamonds lead to the top of a gorgeous double halo engagement ring to hold the center gemstone of your choice at approximately 1.00 carat. Ninety-two round diamonds, at approximately .93 carat total weight are crafted in quality 14 karat white gold to create a wonderfully astounding ring to present to the love of your life. This ring is also part of our exclusive Couture by Shane Co. collection.